Nowadays there is a wide selection of Android wearable to choose from such as smart watches, Google Glass, and many other wearable devices. The working of these wearable’s in conjunction with the Android smartphones helps us to keep useful information at our fingertips. Because of smart watches, wrists watches are not only used for keeping track of time but also help us with our common activities such as exercise or navigation. These devices work even when they are not paired with cell phones. With Android wear 2.0, this technology has just crossed the tipping point of a device being an integral part of work and play. For finding and installing apps directly to the watch, users use the Play Store app that helps developers to reach more users. For Android Wears, the Play Store offers users to browse for recommended apps in the home view. For finding apps more easily, users can also search for apps by using voice, keyboard, handwriting, and recommended queries. In order to manage apps more effectively, users can switch between multiple accounts, update or uninstall apps in the “My Apps” view, or can be a part of alpha or beta tests on their watches. Users who are interested in installing an app just on their watch can easily install the watch app. the Android Wear 2.0 does not require phone apps to be a necessary part. On Google Play, users can also build and publish watch-only apps. The availability of Play Store on the watch helps users to find apps right where they need them. 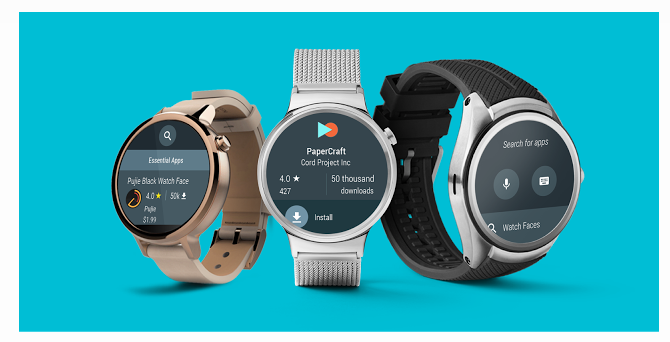 For making the apps available on Play Store for Android wear, users will have to make sure that their Android Wear 2.0 apps is set to minSdk Version to 24 or above. Using the run time permission models, these are uploaded through multi-APK using the Play Developer Console.